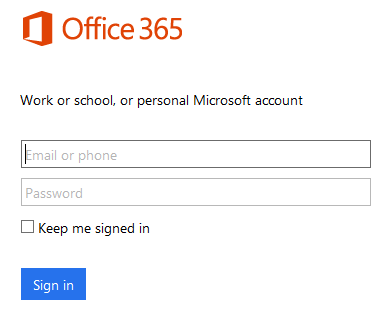 For a personal account, go to https://onedrive.live.com/ and press the Sign up button. Follow the steps to create a new account. You will receive a confirmation link on the email address you provided. Click that link in order to activate the account. Open Backup4all and select File -> New Backup or press Ctrl+N. On the first page, enter a name for the backup in the Backup Name field. 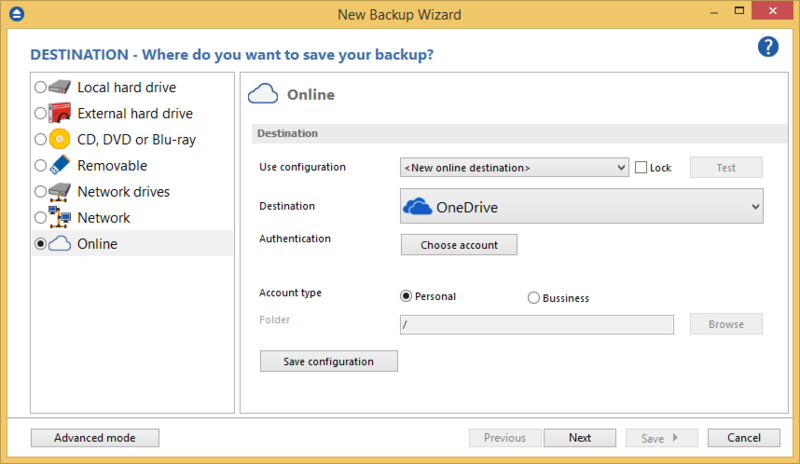 In the Where do you want to save the backup section, select OneDrive as backup destination. Select the account type you want to use: Personal or Business and press Choose account. A new window will appear prompting you to log-in. 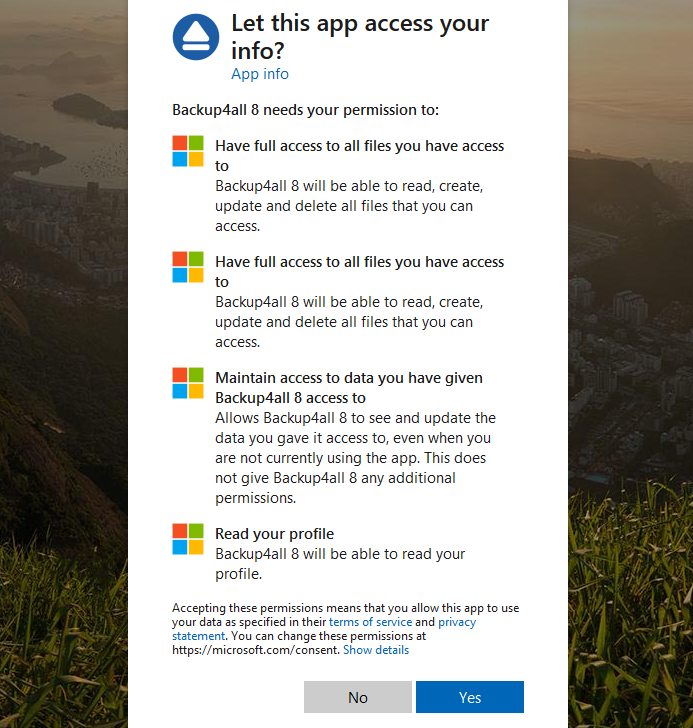 You will have to grant Backup4all the permission to access your files in order to back-up your data to OneDrive. Press Yes and close the confirmation window. 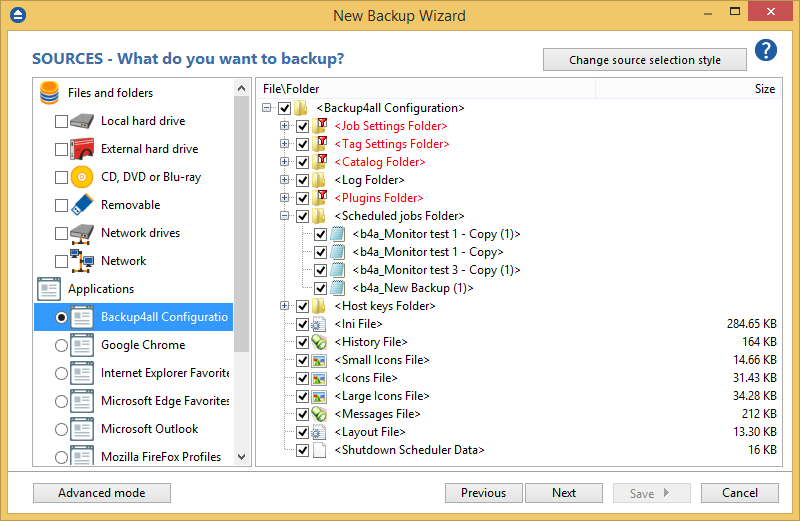 On the What do you want to backup page, add the backup sources and press Next. 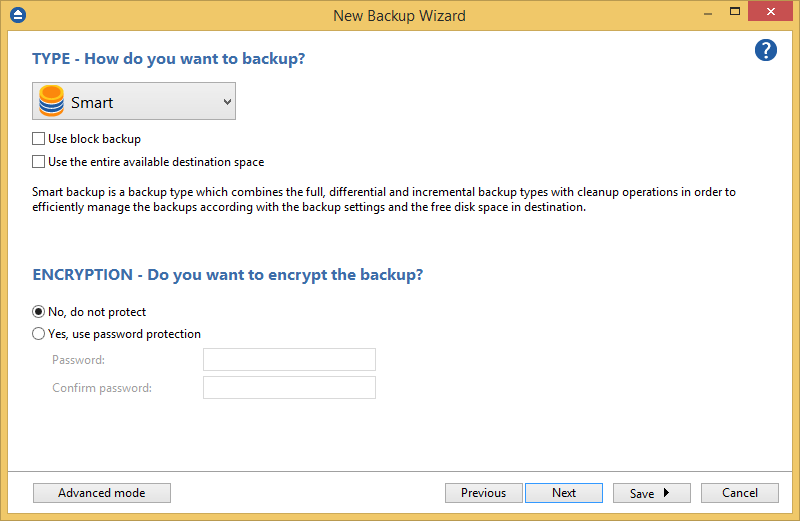 On the How do you want to backup page, you can choose the backup type and optionally set the encryption. Press Next. 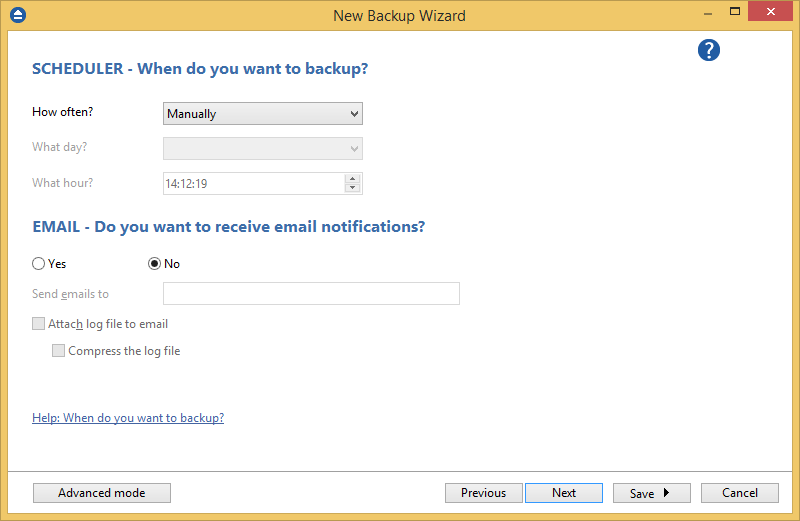 On the When do you want to backup page, you can set the backup job to automatically run on the specified time and date or just leave it to run on demand. Press Save and run to execute the backup job. 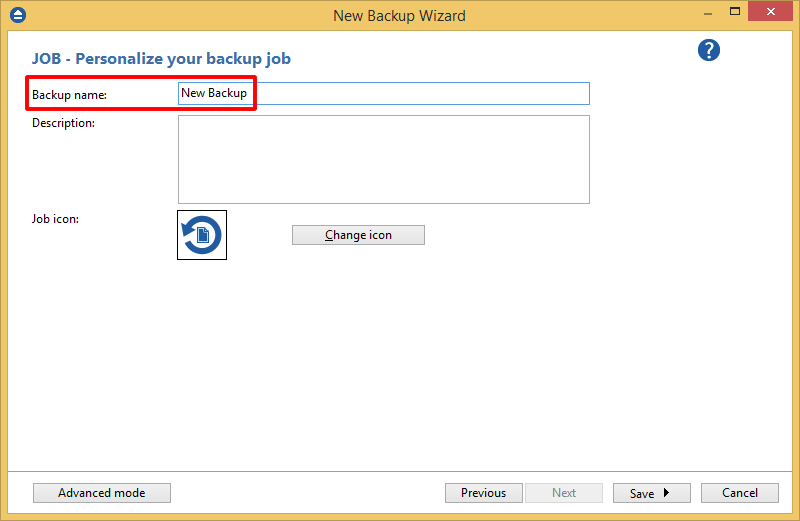 If the backup job is still defined and exists in Backup4all, simply right click it and select Restore. The Restore Wizard will then guide you through the restore process. 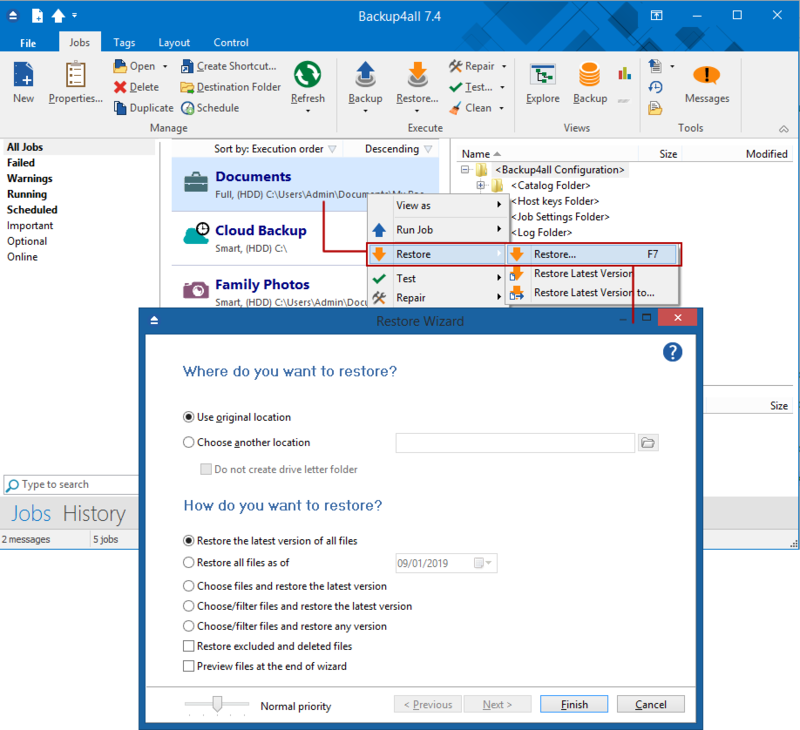 If the backup job does not exist in Backup4all anymore but the files are still in OneDrive, you must first open it by using the File -> Open from menu. 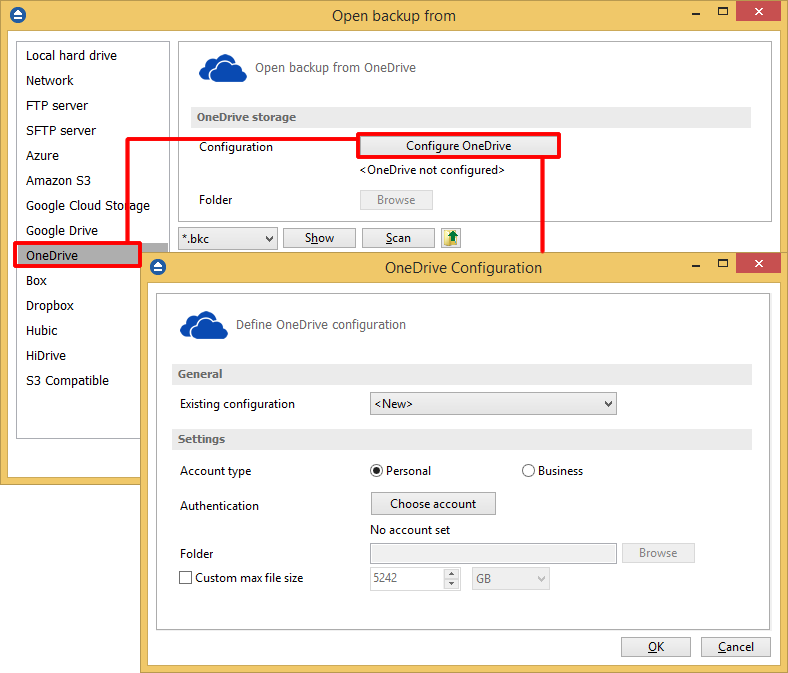 Click on OneDrive and then on Configure OneDrive (if a configuration isn't already defined). You'll need to connect to your OneDrive account (where the backup job you want restored resides). After the OneDrive account was set up, press Show to display the backup jobs that are stored in OneDrive. Select the catalog you want to open and press Open. Backup4all will recreate that backup job locally. 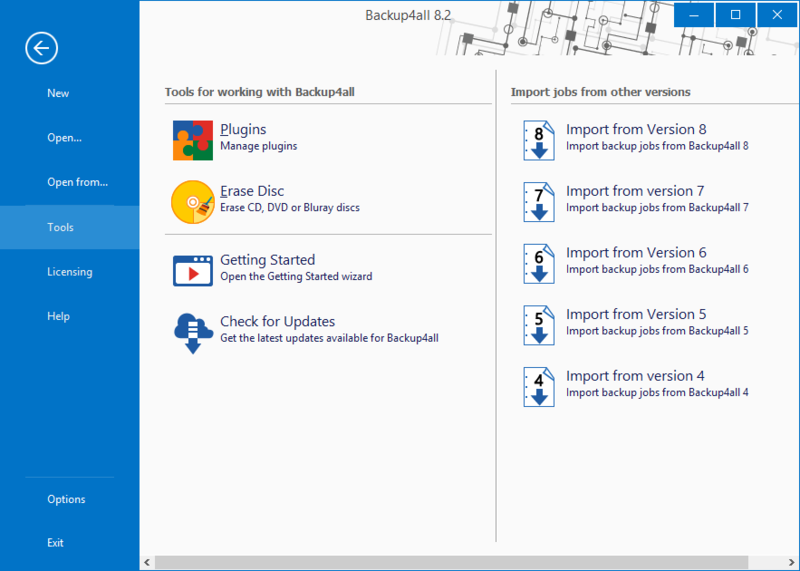 Now that the backup job is recreated, you can right-click the backup job and select Restore. The Restore Wizard will start and after you've selected the type of restore you want just press Finish to start the actual restore process. How to restore from a backup? To make a full or a filtered restore start the Restore Wizard by pressing the Restore (or F7) button from the application's toolbar. You can restore to the original location or to a different location of your choice. This section contains answers for frequent questions regarding the registration process of Backup4all. This article explains how to restore files and folders from a backup after a hard drive crash. This article contains a list of popular terms related to backup. How to filter a backup? How to configure a new backup?